Institute of Banking Personnel Selection has released notification for the recruitment of Probationary Officers. There are about 3247 vacant positions for which the notification is released. Candidates who are looking for the bank jobs can apply for Probationary officer posts. Candidates can check the eligibility criteria, application fee and other important details and apply online from the direct link provided below. Institute of Banking Personnel Selection (IBPS) is an autonomous agency in India, which started its operation in 1975 as Personnel Selection Services (PSS). In 1984, IBPS became an independent entity at the behest of Reserve Bank of India (RBI) and Public Sector Banks. IBPS CWE is now mandatory for anyone who seeks an employment in 20 public sector and Regional Rural banks. IBPS periodically accepts the exam applications from the candidates at their website, and the exams are organized at various locations in the country in online mode. 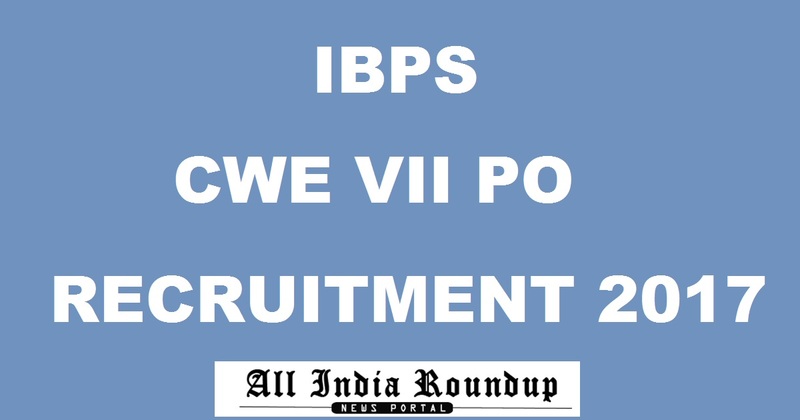 This year it has released notification for the IBPS CWE VII PO posts and the candidates who had are eligible can apply online from the direct link provided below. Candidates should check the eligibility criteria from the notification like educational qualification, age limit, application form, selection process etc. Candidates can proceed to fill the application form once they meet the requirements in the official notification. Below there are steps given to fill the application form and submit the form. How to apply for IBPS PO Recruitment 2017? Candidates should first visit the official website or follow the link given below. Candidates should check the link relevant to download the application form. Fill all the required details in the application form in a prescribed format. Attach all the required documents and proceed to pay the application fee. Application fee can be made through options given. Recheck the application form and click on the submit button. Download the application form and take a printout of it. Keep the printout save for further assistance. 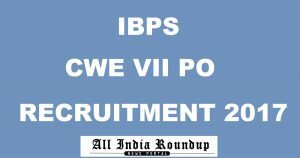 Stay tuned to this website for more details regarding the IBPS PO 2017 CWE VII Recruitment 2017. Press CTRL+D to bookmark this page for more exciting updates.